The oversized, chunky knit sweater. A staple piece in everybody’s wardrobe during these colder months here on the East Coast. 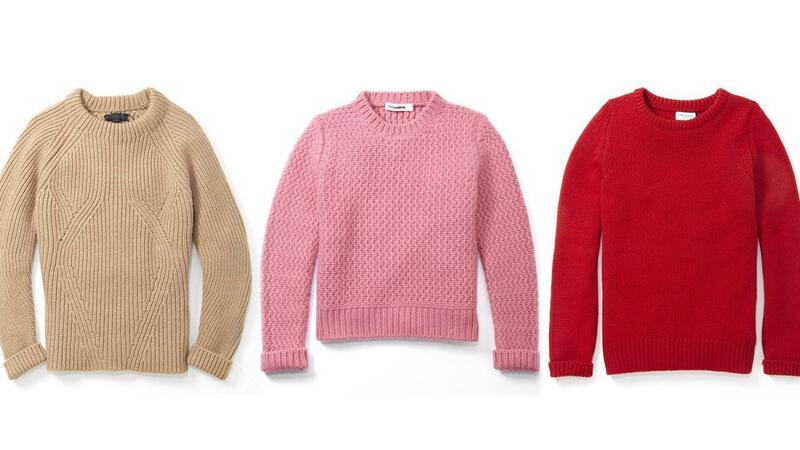 Every person has some variation of the oversized “chunky knit” in their closet, but sometimes something as simple as a knit sweater can be hard to style. Most of us New Englanders see a warm, cozy sweater and instantly think to throw on a pair of black leggings and sneakers and walk out the door. But, sometimes this combo can get a bit repetitive and boring, especially if you are one of those people who will wear that chunky knit sweater multiple times within a week. Here are a few ways to style this holy grail sweater, while looking fashionable but still staying comfortable! Sometimes, all it takes is wearing a pair of bottoms that are the same color or a coordinating color as your chunky knit, to create an effortless and casual outfit. Even something as simple as a pair of leggings or sweatpants the same color as your chunky knit, can instantly become a stylish matching set. This type of combination is great for those early morning classes when none of us really have it together, but most definitely want to look like we do! My go-to option for those occasional October days where the weather is somewhere in between Summer and Autumn. If you’re anything like me and buy your chunky knits about two sizes too big, then this is the perfect option for you! Wearing your chunky knit as a sweater dress can instantly turn a normal chunky sweater, into the perfect, aesthetic Fall attire. Just throw on a pair black tights or a coat for those more windy days- a belt, and some sneakers and nobody will even realize that it’s the same knit you wore the day before! Finding multiple uses for one statement piece of clothing can instantly spice up your outfit game- and you don’t even have to think about matching pants with it either. Adding articles of clothing with varying textures to a chunky knit will immediately transform any outfit into something that you would see on a Pinterest board of Fashion blog. My texture of choice with a chunky knit will always be some variation of a vegan leather bottom because not only does it break up the outfit so well, but leather bottoms are so on trend right now! Even a good black leather boot adds just the right amount of edge and grunge to any outfit involving a chunky knit sweater.